How many times have you chosen a flooring product just because it looks good aesthetically, without looking at its characteristics? The space around a pool requires flooring with specific attributes. It is not a place for polished tiles, wooden floors, or the more economical laminate flooring. Exposure to outdoor elements can deform, discolor, and even make the surface of certain flooring products slippery and dangerous. 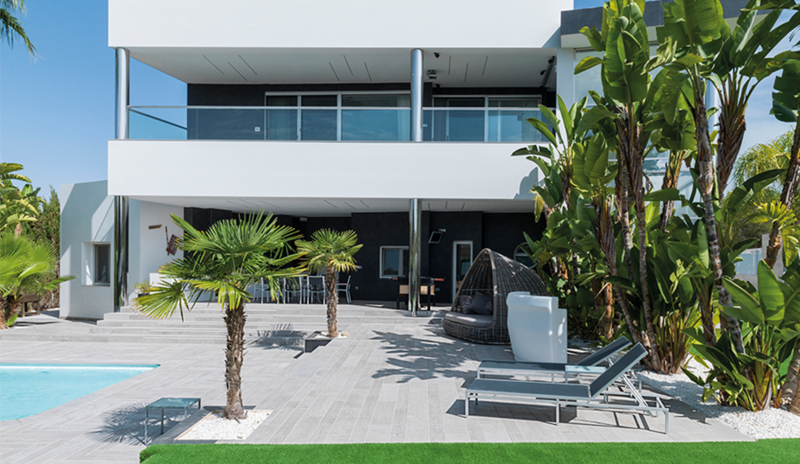 Porcelanosa offers a wide range of anti-slip tiles designed for your exterior terrace, the space around a pool, or even its interior. They are super-resistant, non-slippery, and unalterable, which will make your exterior flooring look brand new long after installation. 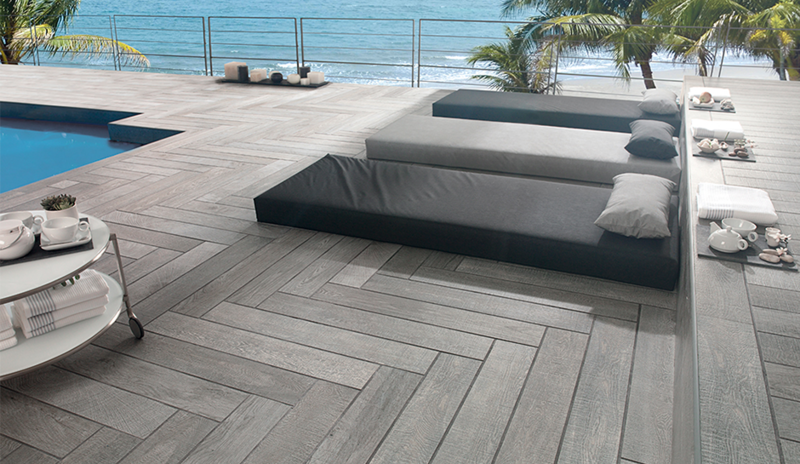 Our outdoor tiles are available in a wide range of stone and wood look finishes that will adapt to your style. Porcelanosa also has a collection of tiles with a textured finish, which are uneven and include some minor curvatures and indentations. This textured finish makes them ideal for outdoor use. The collection offers our customers a combination of style and functionality, as they are low-maintenance and high-performance. Since these selections are meant to be used in exterior applications and are therefore exposed to changes in temperature and UV lights, they have been designed to be more resistant than other flooring products. 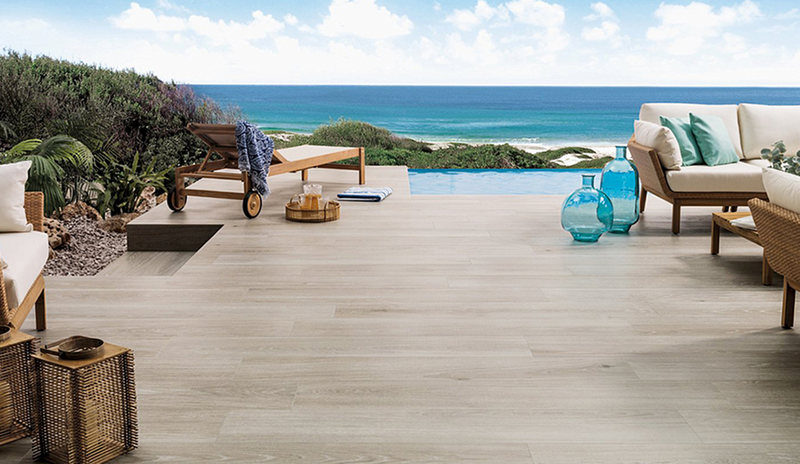 Ready to add a wood or stone look anti-slip tile to your exterior space? 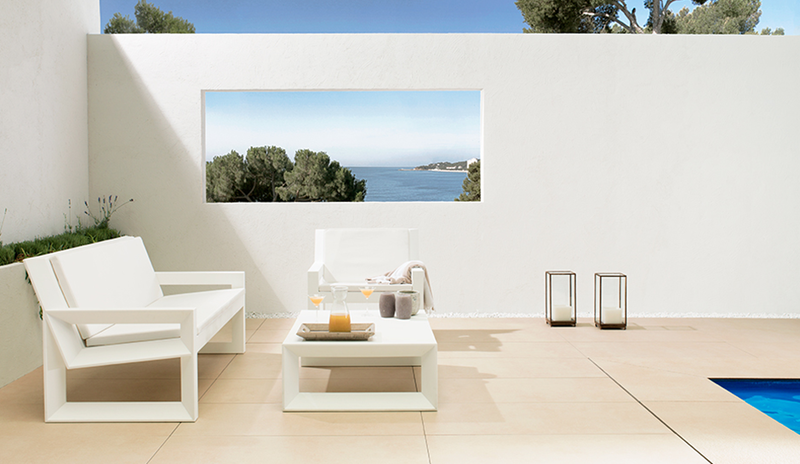 Browse our outdoor inspiration gallery for renovation ideas.